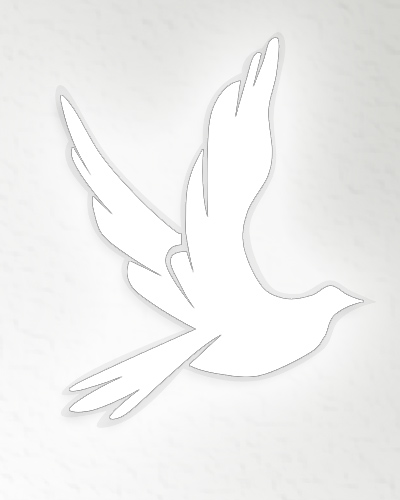 Obituary for Frances lucille (Ging) Davis | Lanman Funeral Home, Inc. The funeral for Frances Lucille Ging Davis will be at Helena Church of Christ on Tuesday, February 5, 2019 at 10:00 a.m. with Minister Bill Springer officiating. Burial will be in Good Hope Cemetery with arrangements by Lanman Funeral Home, Inc. of Helena. www.lanmanmemorials.com Facebook: Lanman Funeral Home Inc. Viewing will be Monday from 10:00 a.m. until 6:00 p.m.
Frances was born in Alfalfa County on May 8, 1930 to John and Ruby Love Ging and passed from this life on January 31, 2019 in Ponca City. She attended school in Helena and resided in Helena before moving to Ponca City in 2012. Frances was married to John William "Bud" Davis, a farmer and custom wheat cutter. Much of her early life was spent raising children and helping Bud farm and harvest wheat. For a while after his death, Frances spent her time working as a crop adjuster. After that she started volunteering for the Red Cross and was sent to Florida after Hurricane Frances. Later she worked as an intermediate EMT on the Alfalfa County Ambulance in Helena. Shortly before moving to Ponca City, Frances was mayor of Helena. Surviving are her two sons, Alan of Duncan and Richard “Rick” of Enid and daughter, June Buller of Ponca City; grandchildren, Troy, Brent, Shawn, Alan Jr. “Buddy”, Trishonda, Josh, Alyca, Tyler and Lacey and thirteen great grandchildren. Those preceding Frances in death include her husband, John “Bud” Davis; parents, John and Ruby Ging; five brothers, Jesse, Ivan, Milton, Matt and Gene as an infant; three sisters, Shirley, Norma and Doris. Memorials may be given to Alfalfa County EMT Association through the funeral home.